: Descending? They're not putting Operation Meteor into effect? : What's their descent trajectory? : Hold on, I'm bringing up the data now. : This is... Northwest Africa? : So they're running to the Titans for help? : I get it... That'd be the quickest way to reorganize their forces, wouldn't it? : After all, there's no point in dropping a colony or asteroid on the Earth now. : So either way, they want to stop Project Aegis? : Yeah. Even if they fail to get control of the microwave transmission facility... 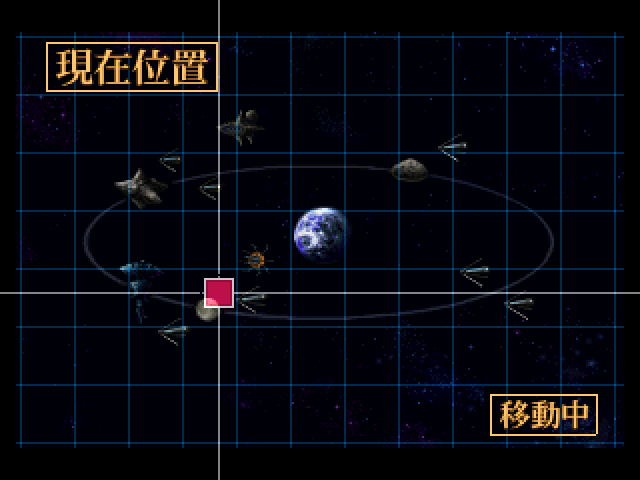 If they get control of the gravitational shield's energy source, they still win in the end. : Alright... You're all here. We got word from Captain Henken's Argama team just now. 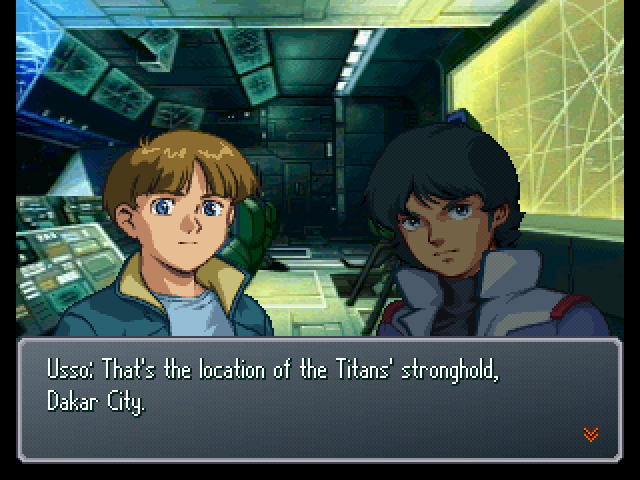 They've succeeded in forcing the Titans out of Japan. : South Atalia Island has also been freed from the Titans' grasp thanks to the actions of Lt. Cmdr Fokker, Ensign Uraki, and others. : Don't celebrate yet. We've confirmed where Bright and the others are being held. : They're in Aleg Base, near Dakar. : Yes, they won't have any reason to do what the Titans say then. 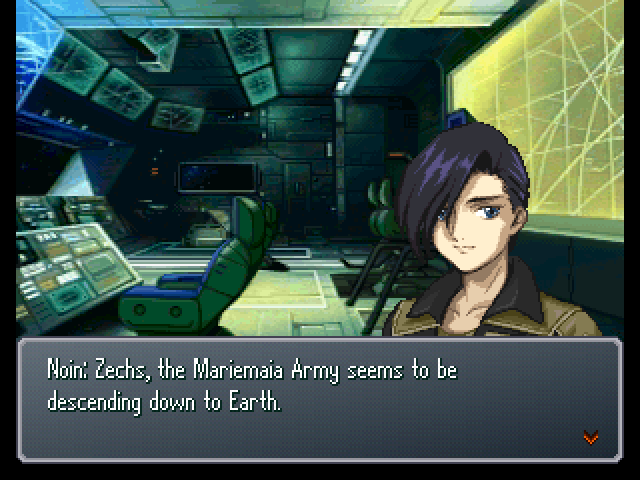 : After that, all we have to do is save Relena and the SDF personnel, right? : That's the long and short of it. This ship will now descend to Earth, rendezvous with the Argama team, and rescue Captain Bright... Then we will begin our assault upon the Titans' stronghold, Dakar City!